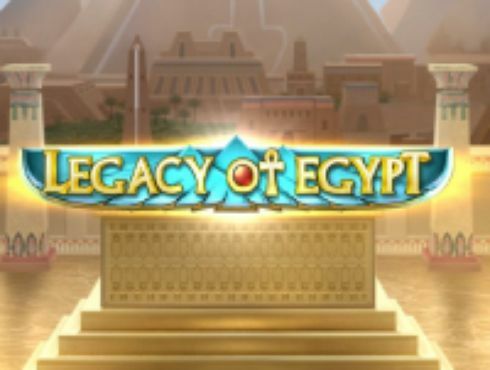 Drawing on the ever-popular theme of ancient Egypt, Play N Go’s Book of Dead slot game lets you land excellently drawn symbols, historically found in the north African country, across five-reels and 10 paylines. The game comes with the possibilities of a solid win, with a top paying symbol of 1000x on the line bet. The ten paylines can take bets as little as one penny and as high as £100 and the players can land a bonus feature and get the help of the game's free spins by landing three or more of the book symbols, which represents the game's scatter. Re-trigger additional 10 free spins with another round helped by the scatter wins. 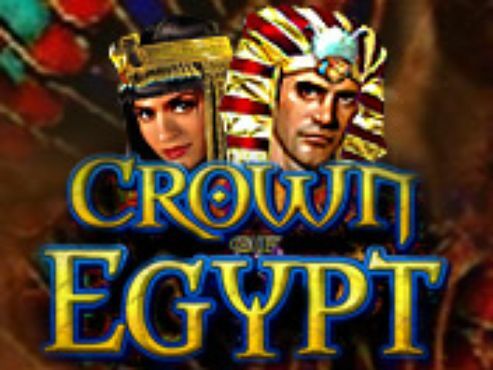 Drawing on the ever-popular theme of ancient Egypt, Play N Go’s multiline Book of Dead slots game features excellently drawn symbols. These symbols represent objects that were used daily by people that lived in Ancient Egypt. The Book of Dead slot has five reels and 10 paylines. Play Book of Dead slot for the chance to spin and win incredible cash sums. You can do this while enjoying the time and effort that has gone into creating a slot that looks like this. Land high-quality symbols and try to hit the jackpot when you play this popular slot game from Play N Go. 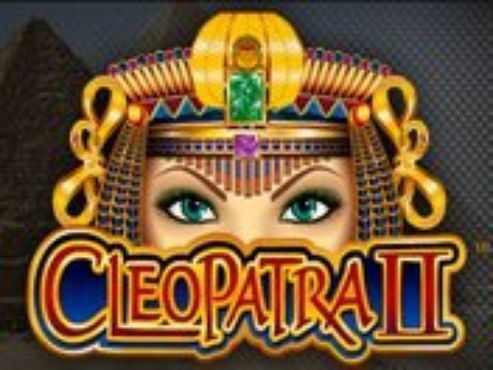 This Awesome Slot Game has an RTP of 96.21% and you can spin it with a denomination from £0.01 - £100.00. The maximum amount that you can win in the game is a multiplier of x1,000. 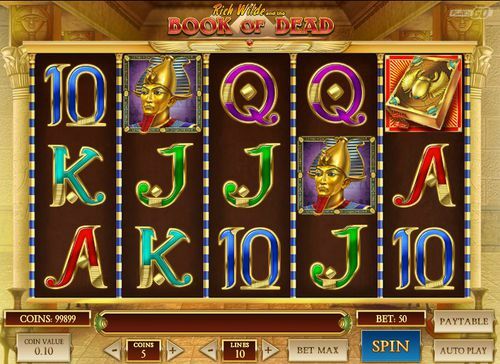 Read our Book of Dead slot review if you want to know everything about this great game. Plus, here you’ll find a range of online casinos that offer the popular Book of Dead slot for you to play. Multiline slots are online slot games that offer players the chance to win cash prizes across multiple paylines. The amount of paylines that can be played across varies with these slots. 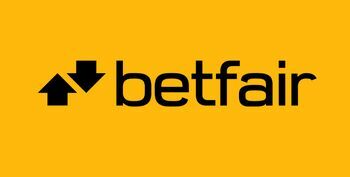 Some games have fixed paylines and for others, the amount that are active can be changed. 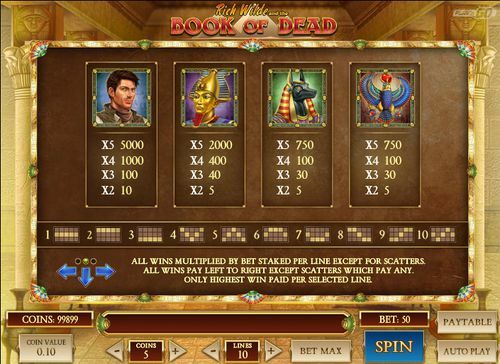 Book of Dead's 10 paylines aren't fixed, meaning when you play this slot game, you can choose to activate any number of them between one and ten. By having more paylines active, you have the chance to land winning combinations of slot symbols in different ways. 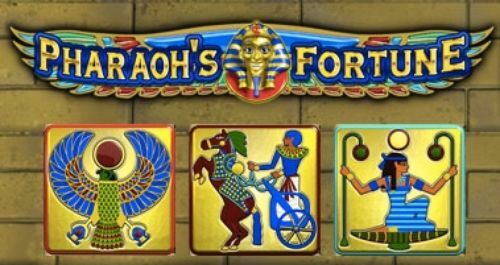 Some knowledgeable slots fans might argue that Book of Dead slot is very similar to the popular land-based slot, Book of Ra, that now also has an online video slot version. We’d be inclined to agree, not only because of the name but also due to the fact that the games resemble each other in terms of style and design. Let’s put that aside for now, because despite all similarities, Book of Dead is a great game on its own and it will offer you a great and unique gaming experience. When you launch Book of Dead, it does, of course, look similar to Book of Ra. But this Play N Go five-reel slot with ten paylines is like a new and improved version. The symbols are clean and bold, while everything that surrounds the reels is also fantastically drawn. Two large pillars stand on either side and the reels themselves are cased in an expensive looking golden frame. Typical playing card symbols, 10, J, Q, K and A make up those of lower value and while they’re not typically Egyptian in themselves, they have been designed with the theme in mind. This slot game’s full name is Rich Wilde and the Book of Dead, so Rich Wilde is this slot game’s most value standard symbol. The other high-value symbols comprise of three Egyptian gods, including Anubis and others. So, when you choose your Book of Dead online casino you should aim for a combination that includes some of the more valuable symbols. There are also the wild and scatter, which will help you get the big prizes. The interesting thing is that the wild and scatter are represented by the same symbol, which is the Book of Dead itself. This symbol triggers the game’s main bonus feature. Book of Dead slot free mode is available on a number of casinos, which means that you can try the game without any real money wagers before you decide whether to play with real cash. There are no more scatter or wild symbols, so, we can move on to the Book of Dead gameplay. Before you spin to win on Book of Dead slots, you’ll need to select your stake for each turn. There are a few different variables to consider and by altering different options you can change the amount that you wager per spin. The first thing to decide is your coin size, or ‘Coin Value’ as it’s referred to in this game. You can play with a coin size as little as 1p or as much as £1, but your total stake will be higher than this amount. Of course, if you prefer, you can try out the Book of Dead slot free play mode before you choose an online casino from the vast range of operators featured on SlotsWise. The next thing to consider is the number of paylines you’d like to activate and play across. There are 10 paylines in total and you can activate any number of them. The more you activate on a spin, the more chance you have of landing combinations in various ways, thus triggering cash payouts. With Book of Dead, you can also play with more than one coin per line, any amount up to five in fact. This means your payout will take into account not only your coin size but the amount of them you’re wagering with across an active payline too. So, your total stake per spin will be your coin size multiplied by the number of active paylines, then multiplied by the number of coins you’re playing with on each line. 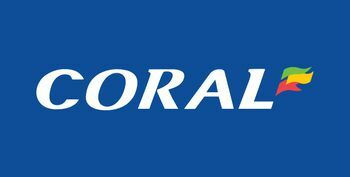 Put simply, if your coin size is 20p and you’re playing with all 10 paylines activated, and with two coins per line, your total stake will be £4. Make sure that you always take your bankroll into consideration before playing Book of Dead online slot with real money. Does Book of Dead Work on Mobile? Take Book of Dead slot anywhere you go. What makes this game even better is that you can play it whenever, wherever. Like many other slots from Play’N Go, Book of Dead works on mobile, iOS or Android. It is developed in HTML5 format, which means that players can enjoy it on any device they want. Being developed in HTML5 means that it will load immediately into the browser. The Book of Dead slot free play mode is the perfect option for you if you wish to get more familiar with the game without placing real money wagers. 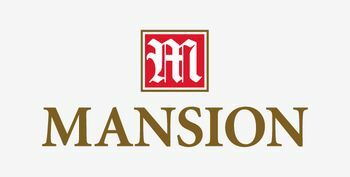 The free play version is practically the same as the cash version, the only difference is that you are awarded virtual funds, a full bankroll. You can use the awarded virtual funds to test the game adjust your wagers, check how often you can expect to receive a payout. Those are the reasons why players play games in demo mode. You can have all the fun, without the stress of wagering real money. On the other hand, you can’t win any cash prizes if you are playing Book of Dead slot free play. As you can see, everything has its advantages and disadvantages. Cash payouts are awarded when you land symbol combinations across an active payline. Although how much you receive is dependent on which symbols you land and how many of them. Winning combinations with three symbols understandably pay less than combinations with four or five symbols. The lower value playing card symbols for Book of Dead payout for combinations of three or more symbols. Whereas the higher value Egyptian deities, and Rich Wilde himself, require combinations of just two or more. Although the payouts for just two-symbol combinations aren’t particularly substantial, you have the chance of landing them more frequently. Not a lot of slots offer payouts with just two symbols, so this is one of the advantages of the Book of Dead game. Aside from the standard symbols, you can trigger the special feature by landing the book scatters. And that is why the Book of Dead Play N Go slot is often compared to the Book of Ra slot. The main bonus feature for Book of Dead slots is the free spins round. This is triggered when you land three or more Book of Dead scatter symbols anywhere in sight on the reels. Once the bonus is triggered, you’ll receive ten Book of Dead free spins. Before the spins start, one symbol will be randomly selected and turned into an expanding icon, covering all positions on the reel if a winning combination is possible. The symbols don’t need to be adjacent, but they have to be on an active payline. Plus, you can retrigger an additional 10 free spins from within the free spins feature, simply by landing more wilds and scatter symbols on the reels. There’s also a Gamble Feature in Book of Dead slot. This means that you'll have the chance to double or even quadruple your money after each win. If you choose to use this feature, you’ll be presented with playing cards and you’ll need to correctly guess either the next colour or next suit. 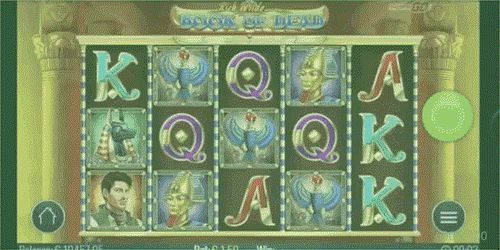 Despite being similar to the popular Book of Ra slot, Book of Dead slot is still an amazing and an original game. If you like what you’ve read in this Book of Dead slot review, then don’t wait a minute longer. Choose one of the operators that offer Book of Dead slots, claim your bonus and start playing today. The design of Book of Dead is of high quality and the symbols are excellently drawn, not to mention the space around and behind the reels too. Players can spin to win while enjoying the visually pleasing aspects of the game. Aside from cash sums and big wins, players can also benefit from the free spins feature within the game. When you land just three scatters, ten free spins are awarded and, what’s even better, an additional ten can be earned by landing more scatters during your Book of Dead slot free spins. 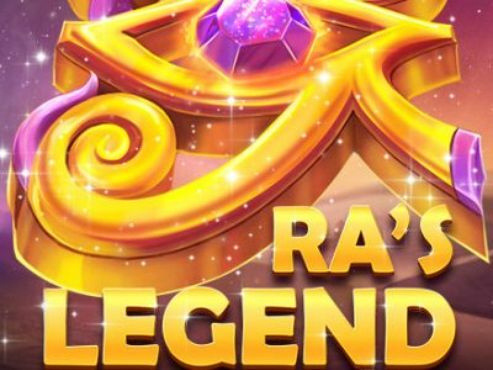 If we have a look at the Book of Dead slot RTP, we’ll see that the percentage is 96.21%, which is quite high, compared to most other online slots. As we already mentioned, Book of Dead slot has a RTP of 96.21%, which means that the house edge for this online slot is 3.79%. It is also worth mentioning that Book of Dead is a high variance slot. So, as you play, you can expect your bankroll to fluctuate. It’s best to adjust your bets accordingly. However, even though Book of Dead is a high variance slot, it doesn’t mean that you will win all the time. Overall, we’d recommend giving Book of Dead slot a spin for several different reasons. 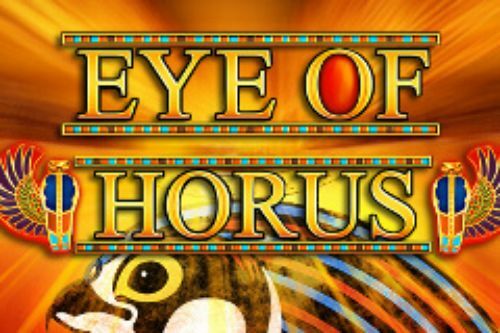 If you’re into big wins, free spins and great gameplay Play N Go’s five-reel, Egyptian themed slot is the right choice for you. We can say that Book of Dead is one of the best slots, especially since you can win a pretty impressive amount of money.